You know the feeling of waking up in crispy white sheets, in a huge bed with almost too soft madrasses.. While your eyes are still closed you start to hear some unfamiliar noises. You open your eyes and streams of light shines through the heavy curtains. You look around in the room, first at the lamp in the ceiling, and then over to the nightstand that so nicely matches the bed, and everything looks new and strange. And then you remember that you're in a hotel room, you're on holiday! Aaahhh! Jump out of bed, open the curtains and look out on the new and unknown city your about to discover. And then there's the hotel breakfast, room service or the restaurant, either way not having to lift a finger yourself is such a luxury. I just LOVE staying in hotels. 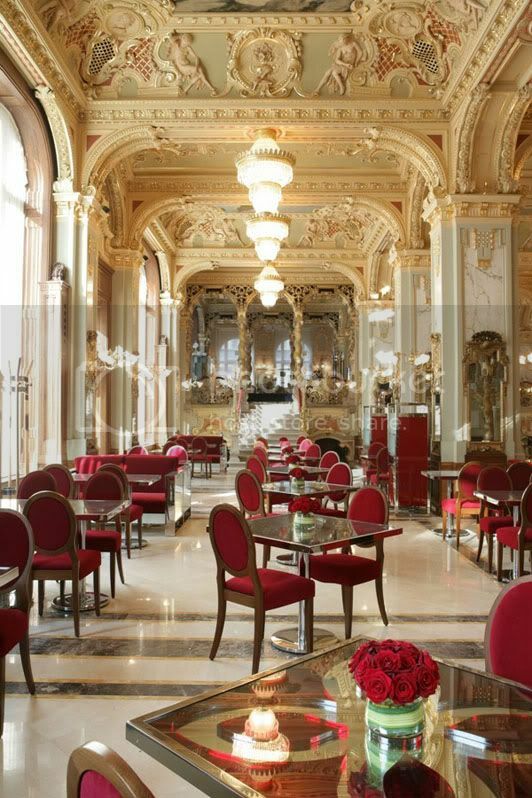 These pics are from where we stayed in Budapest, such a pretty hotel. And as wee speak I'm searching for a new travel destination. But it's not so easy to find the right place. Since the Norwegian summer has decided to not give us real summer weather, I have decided we have to go to somewhere warm. I was thinking some place quiet and peaceful, with pretty beaches and good food. I was thinking maybe a Greek island or something. But as I'm going through the destinations and looking at hotels I wonder; what's up with the brown wool blankets??! I really don't need a luxury hotel, but I don't want to get fleas either. The good thing is that by the end of the month all the travels will drop extremely in costs, so I just have to stay cool and not order anything until a good deal shows up. What about you, do you love hotel living too? And, a favourite place/ hotel to reccomend? Det er så herlig å bo på hotell!! Så utrolig deilig, elsker å våkne opp til luksus! Bodde på et i Oslo i fjor, med frokostbuffet på Egon, namnam!! Så fint hotell :) Elsker å bo på hoteller selv!